Déjà vu is the phenomenon that a person experiences when they feel that they’ve experienced an event in their past. Studies show it’s not a psychic experience, but rather a little trick the brain does. 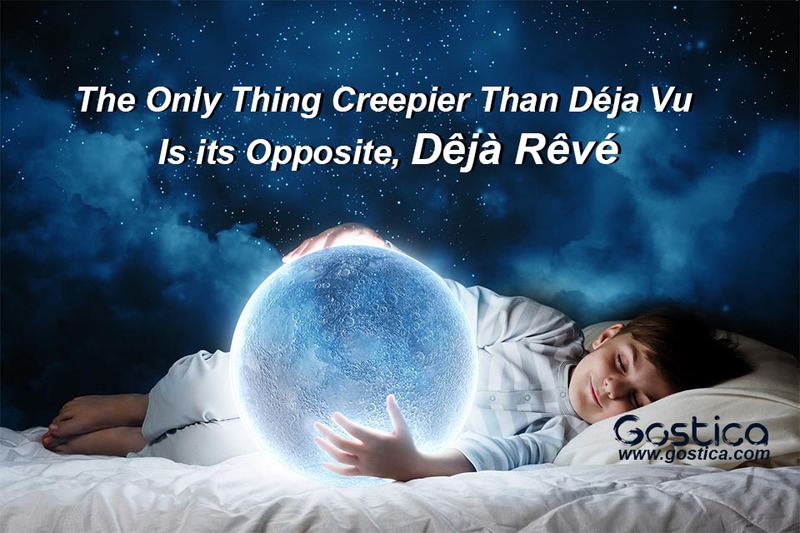 Déjà rêvé, however, is something different and there’s no trick to it. For the study, researchers searched through reports from 1958 to 2015 of epileptic patients who experienced the phenomena after being induced with electrical brain stimulation (EBS). Although this sounds like something out of A Nightmare On Elm Street, the researchers view this study as a way to separate the feeling of déjà vu from déjà rêvé and learn more about our dreams. “EBS-induced déjà rêvé could be an interesting approach to better understanding physiological dreams that cannot be reproduced under laboratory conditions,” says lead author Jonathan Curot, a Ph.D. student at Toulouse University Hospital. The study states déjà rêvé happens in three different ways. In one, referred to as “episodic-like,” a patient is spontaneously able to specify that they had a certain dream on a definite date. “‘I saw something, a dream, a nightmare I had a couple years ago. A dream of an object lying on a table,” said one subject about their event. The second is referred to as “familiarity-like,” or when a patient reminisces about a vague dream. One subject explained that they had a vision of a scene from a recent dream. Lastly, researchers found many patients in their literature experienced a “dreamy-state.” They would have a feeling of being in a dream or nightmare. A subject tried to explain it as feeling like they passed out and floating. Déjà rêvé is still a new phenomenon, but this study is the first step to explaining those strange, unexplained dreamy feelings that people have. Very interesting article. I have experienced both Deja Vu and Deja Reve. Thanks for posting it.